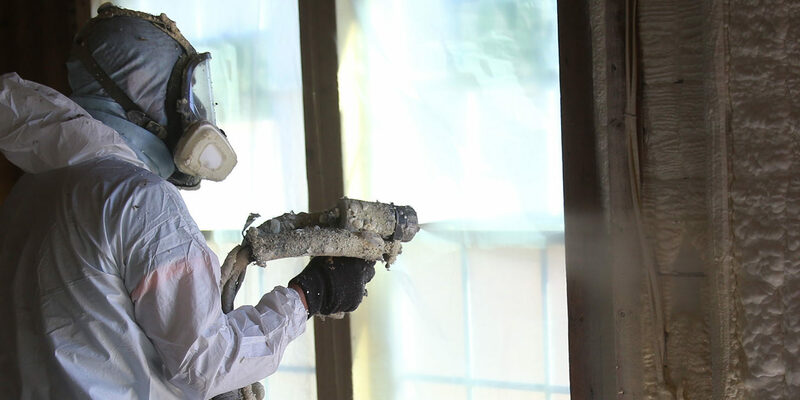 Spray foam insulation is a two-component mixture made of isocyanate and polyol resin. These two properties combine at the tip of a spray nozzle and form an expanding foam that can be sprayed onto concrete slabs, roof tiles, into wall cavities, or through holes drilled into the cavities of a finished wall. Spray foam insulation is provided in both high pressure and low pressure systems. High-pressure is most often used in new home construction, whereas the low-pressure spray foam is used mostly for remodeling jobs where existing walls already have drywall. Spray foam insulation is categorized by two types: open and closed cell. Kinzler Construction Services delivers an industry-leading customer experience. Contact us today at 888-292-2382 to see if spray foam is the right product for your project.